With our luxury chauffeur driven cars, your time with us in Britain is your own. We only allow you to travel in comfort and style. All our chauffeurs are professional and discreet, meaning you can feel completely comfortable. In addition, our chauffeur cars are specifically chosen, not only to give the right impression but to allow you to make the most of your journey or tour. All our Chauffeur Cars are fitted with Wi-Fi systems and refreshments are available during your journey. You may also read one of our complimentary UK and international newspapers. We are a British chauffeur company who will make sure you enjoy your time visiting Britain. The most innovative vehicle in its class, the new BMW 7 Series heralds a new era in contemporary luxury. With an enhanced interior offering more legroom and space to unwind, the long wheelbase model also delivers impressive performance and efficiency. Added together with a huge boot for transporting luggage, equipment or shopping, the 7 Series makes for an ideal luxury chauffeur driven car to fulfill your corporate or personal needs when travelling around Britain. The Mercedes V-Class sets the benchmark for luxury MPVs. It can transport up to seven passengers in class leading luxury, comfort and safety. It will carry up to seven adult passengers as well as four full size suitcases and four carry-on suitcases. Perfectly suited for business trips and airport runs, it allows your group to travel together. The Range Rover LWB distinctively combines capability and style. It enhances the feeling of space and a connection to the world outside, offering increased comfort for long journeys. The use of beautiful materials and flawless execution, along with ample space for luggage make it the perfect chauffeur vehicle. A luxury 8 seat executive mobile office solution. It is designed to give the feeling of space similar to a private jet and can carry eight people with 6ft 4″ of head room. 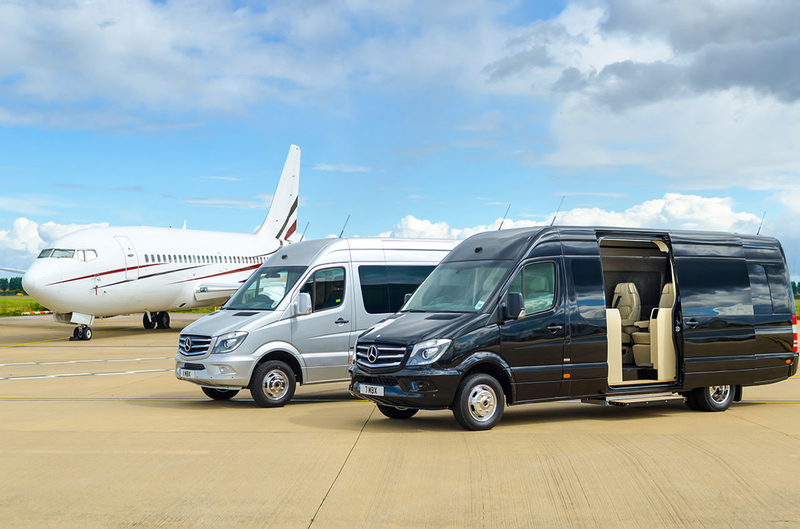 The Sprinter Jet offers WiFi, large screen TV, power sockets, office space, entertainment systems and mini fridges, making it perfect for any corporate travel. Other luxury chauffeur driven cars are available on request across Britain, including Jaguar XJL, Audi A8 and prestige cars such as Bentley and Rolls Royce.